I can’t think of a single business that wouldn’t benefit from greater visibility in Google’s search results. And that’s exactly what I’ve been doing for nearly 15 years – helping small start-ups, international brands and everyone in between generate more customers from Google. I’ve tried to create one page with everything you need to know about how I approach SEO, what you should expect from the service and my credentials. Some shortcuts below to relevant sections. Although every business and every website is unique I’ve found that systematically working through a set process is the best, quickest and most efficient way of delivering lasting results. It’s impossible to learn everything in a few emails or the odd conversation but in taking a bit of time to understand the business, I’m better placed to ensure all of the works are geared towards the correct objectives. Yes, the goal is nearly always more leads/sales but what constitutes a good or bad lead? Or what are the products with the greatest margins? Only by knowing information like this can we create a really efficient list of target keywords and bring quality traffic to your website. Every single website should have Google Analytics and Google Search Console installed. These two free pieces of software provide an enormous amount of data about how the site is performing on Google and how those visitors interact with your website once they arrive from the search results. If a website has GA/GSC data available, I will review this and provide insights in a clear (no jargon) report. If the software isn’t installed I will add it to the site at no additional cost. I also use the SEO Moz suite of industry-leading tools to provide in-depth feedback. There needs to be complete agreement about the phrases (or keywords) being pursued by the SEO work. This isn’t always simple as quite often there are thousands of potential targets, so these need to be organised and prioritised before anything else progresses. We also need to establish metrics to determine the success of the SEO campaign. It’s a given that we assess the growth of traffic from search engines but tracking must also be put in place to measure conversions from that traffic so the SEO work can be attributed a real-world value. There are a few basic ‘best practice’ items that must be addressed as failure to comply could undermine any of the work that follows. For instance, if a website takes a long time to load or doesn’t display correctly on mobile devices, Google will penalise that site. Checking off this list of basic compliance items is essential. With a clearly defined set of keyword targets, it’s now a case of mapping each of those phrases to a page on the website and ensuring that page is well optimised for that particular search. This includes (but isn’t limited to) the page title tag, the page headings, the page copy, the image ALT tags, the URL of the page and the links pointing towards and away from that page on the website. Depending on the size of the site and keywords being targeted this can be a short or incredibly long task. If there is no suitable page to target the phrases we wish to appear for then a new page must be created and integrated into the website. Additionally, for priority search terms we may want multiple pages as Google tends to favour websites with groups of related content on a subject. As a consequence, ongoing content creation is often essential for sustained SEO success. As you will already know Google often displays personalised search results based on your location, your search history and various other factors. It’s therefore impossible to guarantee blanket coverage for any website. 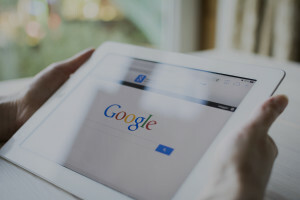 However, it’s important – particularly for businesses operating in a specific area of territory – to setup and maintain a Google My Business listing. I will always take care of this as part of the process. Getting other established websites to mention and link back to your own website is a major part of SEO. Search engines treat these links as votes of confidence, so it’s essential to have an agreed plan of action for acquiring good quality links on a regular basis. In a competitive market where many businesses are jostling for visibility on page one of the search results, links are more often than not the difference. SEO is very much an ongoing exercise as there are always new targets to pursue. Even businesses that have a healthy presence already should have significant fear of loss and be continually pushing to maintain a position and identify areas of expansion. Some of this can often be managed internally after a certain period, but you need a professional to review the data, analyse the results and respond to sudden issues, changes of circumstance or anything else Google is telling you. The good news is I’ll give you a free report and insights so please do get in touch. My hourly rate for agreed works is based on £50+VAT. I work efficiently to provide value and will always try to find a solution if budgets are tight. Monthly retained clients tend to pay anything from £300-£2,000. When you hire me, you get me. A single point of contact. 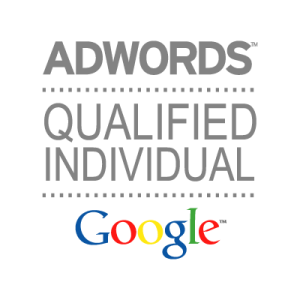 Direct access to a veteran SEO expert with 15 years experience. Big agencies will give you the big pitch and then hand you off down to a low level account executive so you rarely speak to the most knowledgable people. I’m proven. I’ve worked with real clients and delivered tangible results. I’ve got the case studies and testimonials to support these claims. I’m honest. If I don’t think I can deliver value, I won’t get involved. And once I am involved, the process is completely transparent. Cost. You might baulk at my £50+VAT hourly rate, but my overall costs are usually much cheaper than agencies. There are cheaper suppliers of course, but you tend to get what you pay for at the lower end of the market. No fixed contracts. I’ll occasionally ask for a month’s notice but there are no formal commitments so you’re never handcuffed to my services. I’m really fun and interesting. Small or local businesses in less competitive markets can often benefit from a single round of SEO work. If you’re an e-commerce operation or in a more competitive sector, you probably need a monthly managed service to keep up. I’m always surprised when a business is relying heavily on SEO yet have nobody proactively managing it even on a part-time basis. Although people frame SEO as being about getting more traffic, there’s sometimes just as much value in maintaining a good position. I will always advise you honestly, but unless you, or someone else within the business, are prepared to be trained to carry out certain tasks, the recommendation will usually be for a managed service. What To Expect From Monthly SEO? No two months ever look the same as I’m invariably working through the process described above. But there’s a baseline monthly service everyone should expect. Full management of Google Search Console profile. Weekly review of data. Fast response to issues reported. Full management of Organic Search report in Google Analytics. Weekly review of data. SEO Moz Campaign implementation and reporting. This alone has a £100 value (if you wanted to set it up independently). I will track your website’s performance using the full suite of industry leading tools and highlight important issues. Also used for important competitor analysis works. Monthly report of work undertaken and summary of results. 24/7 email support. Responding to any queries you might have or issues that may arise. As stated above, I am the single point of contact and carry out all of technical works personally. I have an assistant who helps with copywriting, link building works and social media when these tasks are necessary, but I oversee and quality control everything. I offer 24/7 email support and aim to respond to all messages on the same day. I’m happy to take short unscheduled phone calls, but anything longer than 10 minutes needs to be agreed ahead of time. This is because I have to manage my time efficiently to be fair to all clients. For one-off projects I ask for 50% deposit and the remainder on completion. All monthly clients must pay by direct debit. This is because I don’t have time to chase late payments. I’m just as happy helping small local businesses as national and international brands, but people tend to like the reassurance of knowing you’ve worked with well known names, so these are just a few past and present clients. Due to the sensitive nature of sharing client data, I can’t post loads of involved graphs and revenue figures publicly. However, these are available on request. The below is a traffic report from a long term e-commerce client who’ve developed their organic presence over the last three years. Get in touch today for your free SEO report. I will assess your website, review your Google Analytics and Search Console data (if available) and provide some no-obligation insights into how you can improve your presence on search engines and provide the costs associated for me to get involved.